Our new and improved kids birthday party experiences now include an FA accredited coach plus, the birthday boy or girl go for free! The legendary experience offers a perfect mix of fun, food & family action. If you want to go that extra mile you can also further customise your kids party by adding additional extras. Or, even enjoy our HASSLE FREE ALL INCLUSIVE PACKAGE!! Suitable for ages 6 and up, our parties are safe, well organised and loads of FUN! 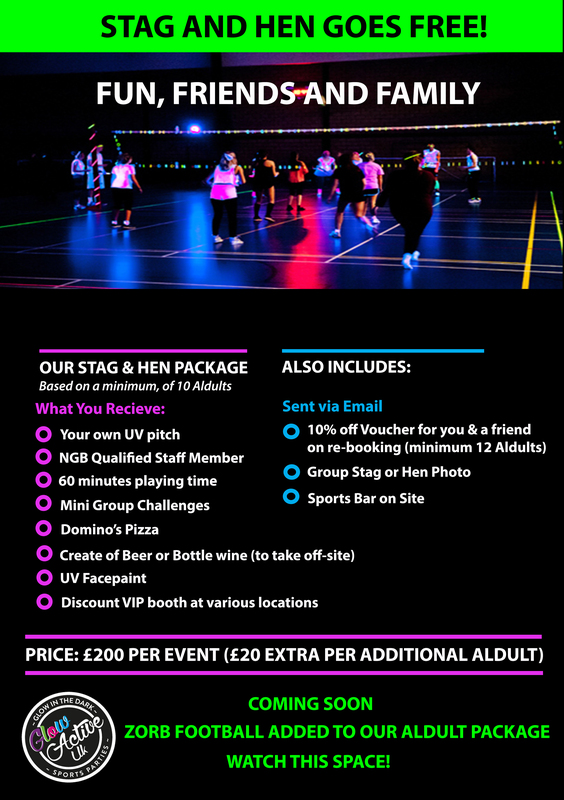 Have you been given the responsibility of planning the day activity for your Stag or Hen before the big night? Then look no further! If you're looking to go above and beyond to provide an experience to remember, then our Glow in the Dark activities are a designed to impress. With a variety of sports on offer, including football and netball, our qualified team are here to provide a fun and memorable experience with a twist. 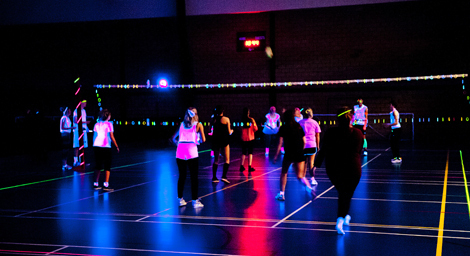 Due to popular demand, Glow Active UK now deliver a variry of charity tournaments and corporate events to enusure that your day stands heads and shoulders above the the rest. This spectacular event is not only a great way to include the whole family, but it's a unique idea certain to help you raise money for that all important cause. This year, Glow Active UK has worked closely with individual Staffordshire University sports clubs and their recreational sports programme to encourage more students to participate within sport. 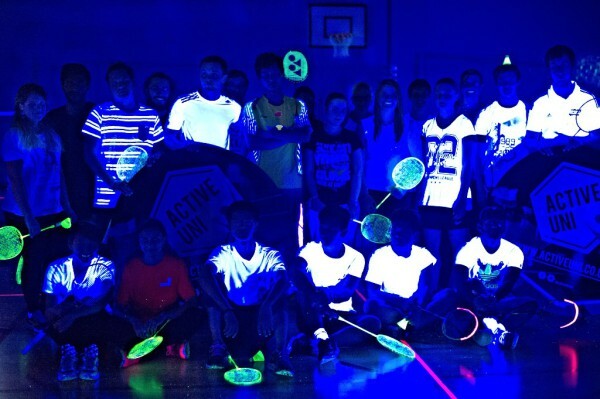 Our team have not only helped put the GLOW back into fundraising , we've also discovered our sessions are a great way of attracting new participants to your sports club. This year Glow Active UK aims to further develop its realationships with sports clubs and schools within the local community. 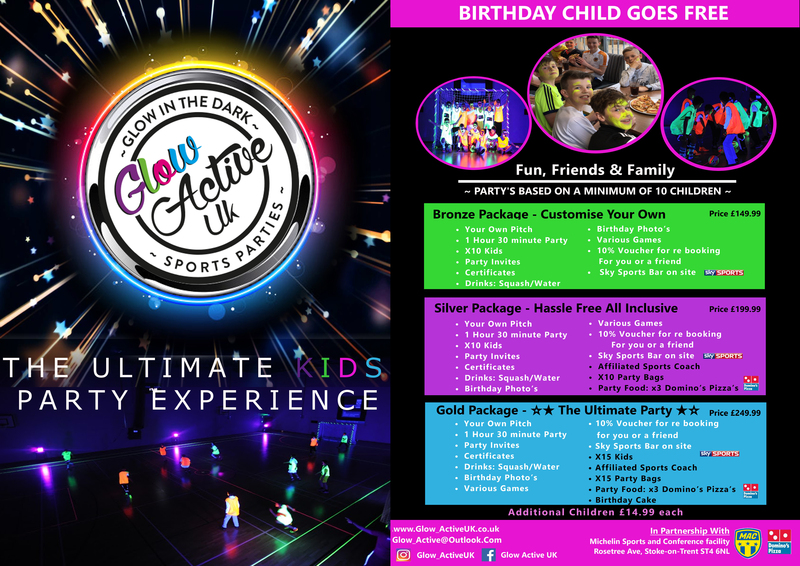 If you are interested in running an end of year event, family fun day or a one off tournament or event with a difference, Glow Active UK will help you deliver an unforgettable tournament experience!